Google's new Nexus phones are here -- and they make quite the first impression. It's that time, Android fans -- yes, oh, yes: Time to get to know Google's newest Nexus devices. 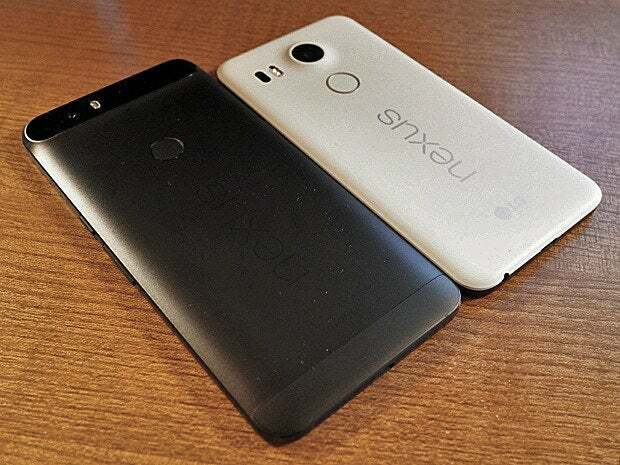 This year, we've got not one but two saucy seductresses competing for our affection: the smaller and more modest LG-made Nexus 5X and the larger and more premium Huawei-made Nexus 6P. The devices have a fair amount in common, to be sure, but they also have their own unique flourishes and personalities. It may seem obvious, but size is a huge factor (so to speak) with both the Nexus 5X and Nexus 6P -- and it's going to be an enormously important variable for anyone deliberating between these devices. In fact, size was the very first thing that crossed my mind when I pulled the Nexus 5X out of its box. In what's becoming an increasingly rare phenomenon with smartphones these days, the phone is actually really comfortable to hold -- no asterisks, rationalizations, or "not that bad, considering..."-style statements required. It's just a sensible size that fits naturally in your hand. It's also surprisingly light. The Nexus 6P -- well, it falls into that "not that bad, considering..." category. It's not as comfy or ergonomic as the 5X, but as far as plus-sized smartphones go, it's -- you know, really not that bad. I'm able to get used to it pretty quickly. For perspective, the 6P is relatively close in size to Samsung's Galaxy Note 5, only about a quarter of an inch taller, a hair wider, and a quarter of an ounce heavier. As for how the two fare in different types of real-world use -- glamorous situations like trying to use them single-handedly while carrying a flailing baby or seeing how they feel in your pocket while flailing your own limbs at the gym -- that's precisely the kind of thing I'll be thinking about as I carry each one around over the coming days. No two ways about it: The Nexus 6P is one nice phone. It has an aluminum (or aluminium, if you prefer) body and strong textured buttons on its side. Whereas size was the first thing that struck me upon handling the 5X, quality is what jumped out at me as soon as I grabbed the 6P out of its packaging. This thing looks and feels premium through and through. The Nexus 5X certainly doesn't seem cheap at first impression -- far from it -- but it does come across as noticeably more mundane in construction. Its plastic back looks nice and has a pleasant warm feel in the hand, but "premium" probably isn't the word you'd use to describe it. The same goes for details like the side buttons, which are somewhat recessed and noticeably less firm-feeling than the ones on the 6P. Remember, though: The 5X starts at $379 off-contract. The 6P starts at $499. These phones are in different classes by design. More than anything, Nexus devices are designed to showcase the software -- and there's a reason: A pure Google Android setup really is a treat to use, more so than ever with the shiny new Android 6.0 Marshmallow OS that ships on both the Nexus 5X and Nexus 6P. You're getting Google's unadulterated vision of how Android should look and work -- and that truly makes you appreciate just how great the OS has become when you don't have manufacturers and carriers meddling around and (more often than not) mucking things up. And while Nexus phones are typically less loaded with features than other Android devices, Google has started to implement its own versions of some of the more useful enhancements -- like a quick way to get to the camera (double-tapping the power button) and a Moto Display-reminiscent system for seeing notifications at a glance (much more on that soon). 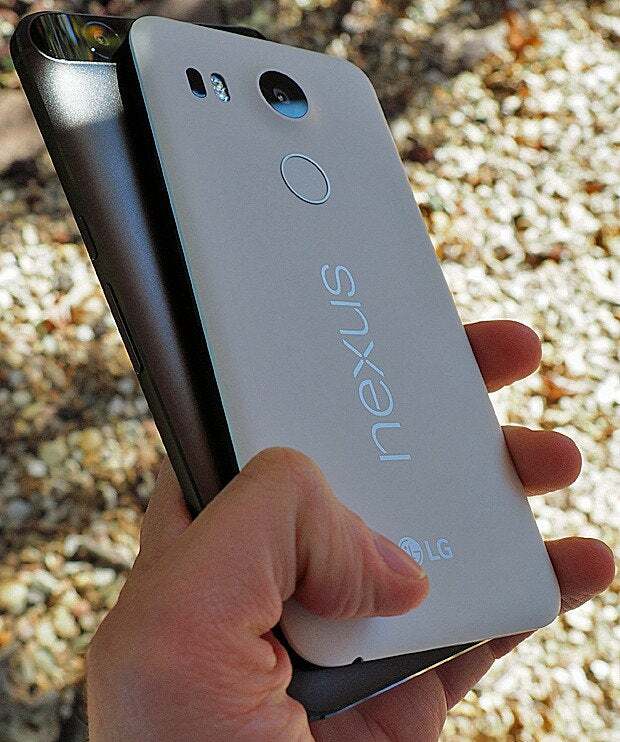 Man, there's a lot to discuss with these new Nexus devices. From how their under-the-hood differences affect day-to-day use to how their very different displays stack up in various conditions -- not to mention the all-important question of how well they both fare with photography, especially given Google's grand promises in that department -- we've got plenty to consider. The big question, of course, is how all the qualities come together and what each phone is like to use in regular life. More than anything, that's what I'll be working to answer as I live with these bad boys over the coming days. Both devices make fantastic first impressions. Now the true test begins. Lots more thoughts and impressions -- and my full real-world review -- are on the way. 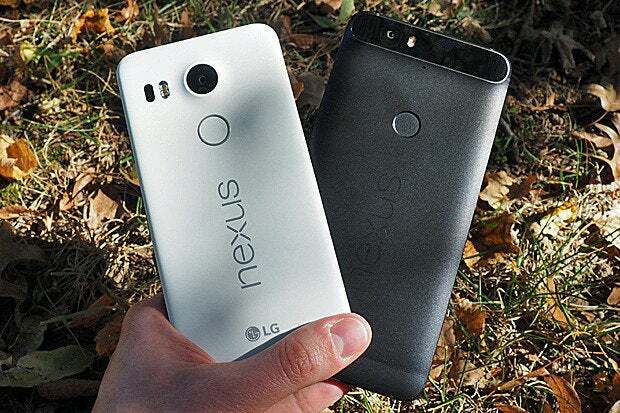 Nexus 5X vs. Nexus 6P: Which one's right for you?